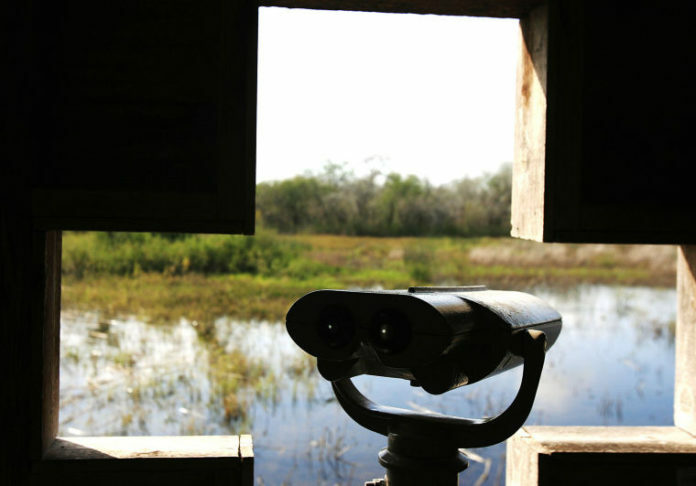 A viewing dock is located by the Chachalaca Trail Sunday Jan. 20, 2013 at the Santa Ana National Wildlife Refuge in Alamo. The refuge will offer kayaking from 8:30 a.m. to 1:30 p.m. Saturday. HARLINGEN — The boats are ready to launch. The Santa Ana National Wildlife Refuge near Alamo is preparing to welcome the new year with a kayaking event on its Headquarters Pond. Kayaks will be provided, along with life preservers and paddles. Novice kayakers will receive some training before launching. “They’re tandem kayaks, they’re all two-seaters, and it’s usually a great event and we get a lot of people,” said Chris Quezada, the 2,088-acre refuge’s ranger. “There’s not a fee for the event, only the entry fee which is five dollars. “A lot of people bring their kids, and we get a lot of couples who come by,” he added. The kayaking begins at 8:30 a.m. and continues until 1:30 p.m. this Saturday. As for the weather, things are looking up for the weekend, with an expected high on Saturday in Alamo in the low to mid-60s. WHEN — Saturday, 8:30 a.m. to 1:30 p.m.